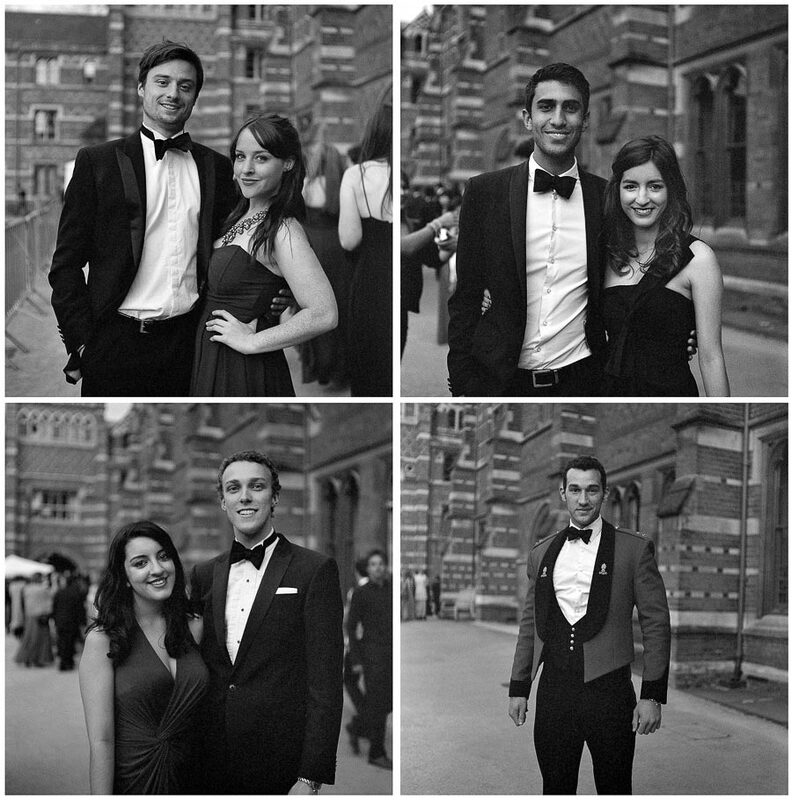 Last year (2012) I photographed at the Keble ball and the ball committee were so pleased with my photography that they asked me back to photograph at this years’ and of course I said yes. It was nice to see some familiar faces that I had photographed there last year and I in turn got recognised too. Just as I did previously I shot with both film and digital – the digital ones I’ve uploaded to Facebook, the film ones I will post here. So far I’ve developed one roll from the night and below are the first four frames as a bit of a teaser. [Tech info:] Mamiya C330f, 80/2.8, Tri-X 400 processed in Kodak HC110 for 7:30.